Just a quick post today as I am busy covering the inpatient service. The Lunar Reconnaissance Orbiter (LRO) has taken another stunning picture of an Apollo landing site, this one from Apollo 16. The photo shows a clear shadow from the American flag that was planting during that mission. The LRO has taken the highest resolution photos of the lunar surface from moon orbit, showing great detail of the Apollo missions. You can see the foot trails of the astronauts and all the equipment they left behind. Because there is only extremely slow erosion of the moon’s surface, from micrometeorites, the lunar surface is essentially frozen in time, recording the activities of the astronauts who visited. The flags have apparently lasted well. The only Apollo flag that is not visible is from Apollo 11, because that flag was knocked over by the exhaust when the lander blasted off the moon’s surface. Of course I have to point out that these LRO photos are the nail in the coffin of absurd moon landing conspiracy theories (as if that were needed). For years conspiracy theorists asked why telescopes have not pictured the Apollo landing sites. That is a common strategy of conspiracy theorists – throw out questions about evidence that appears to be missing in order to make it seem curious or sinister, and without putting it into proper context or truly searching for an answer to their question. In this case telescopes are not suited to close up images of the moon. We needed to get a probe close to the moon’s surface. Now that we have, the asked for pictures are coming back. Of course, no evidence will convince a die-hard conspiracy theorists. The evidence just becomes part of the conspiracy. Where is the “seat of consciousness” in the brain? This is often presented as an enduring mystery of modern neuroscience, and to an extent it is. It is a very complex question and we don’t yet have anything like a complete answer, or even a consensus. The question itself may contain false assumptions – what, exactly, is consciousness, and perhaps what we call consciousness emerges from the collective activity of the entire brain, not a subset. Perhaps every network in the brain is conscious to some degree, and what we experience as our consciousness is the aggregate effect of many little consciousnesses. One way to approach this question (really a set of related questions) is to study different mental states – altered states of consciousness. How those differences relate to brain function are likely to tell us something about the contribution of that brain function to full wakeful consciousness. A new study by scientists from the Max Planck Institutes of Psychiatry in Munich and for Human Cognitive and Brain Sciences in Leipzig and from Charité in Berlin attempts to do just that. They have studied the brain activity of those in normal dreaming and in a so-called lucid dreaming state. A news article in the Sacramento Bee declares: “Harvard Study Finds Fluoride Lowers IQ – Published in Federal Gov’t Journal.” Except – this is not a news item, and it’s not really a study. The article is about a recently published systematic review and meta-analysis – not new data. The term “study” is vague, and I find it often causes confusion. This section contains unedited press releases distributed by PR Newswire. These releases reflect the views of the issuing entity and are not reviewed or edited by the Sacramento Bee staff. More information on PR Newswire can be found on their web site. That’s better than nothing, but I wonder how many people reading the press release will notice and read the disclaimer. In my opinion, a news outlet should not reprint press releases sent out from advocacy organizations clearly intended to promote an agenda. They especially should not print them under the banner of “News.” The disclaimer is not adequate. Most people wish they had a better memory. I have a pretty good memory, but still I find it frustrating that I have spent a great deal of time learning information that I no longer can easily recall. Without frequent reinforcement, the information seems to fade. Because of this there is a cottage industry of memory enhancing products, mostly worthless. Supplements, like gingko biloba or a vitamin cocktail, don’t work. Brain training games are no better than just being mentally active. Fancy devices that train or reorganize your brain waves are pure pseudoscience. There is, however, a fairly large literature on studying techniques that improve the retention of what is studied. For example, there is the so-called production effect – when studying text, reading the text aloud enhances later retention. Repetition of material is also important, with increasing delays between repetitions. There is also the keyword mnemonic method where the word that one is trying to learn is pictured with a keyword that sounds similar and is easy to visualize. The key seems to be to associate what you are trying to learn with as many things as possible, and to have repeated exposure to the information. Whenever I see a pretty picture of an astronomical object, like a gas cloud, or even the surface of Mars, I always like to know how much of the color I am seeing is computer enhancement. The same applies for any scientific image. Often it’s obvious, such as the color coding of brain activity or blood flow in a PET scan or fMRI. The color is just a way to visually represent the data. Other times it’s not so obvious, like the color of the sky on Mars. At the very least, however, the source of the image needs to be transparent – what exactly are we seeing. Several people have recently pointed me toward a form of photography that is being sold as aura photography, but actually isn’t. There is, of course, no such thing as aura photography because there is no such thing as an aura. Published in Nature this month is a report of the entire genetic sequence of Musa acuminata – the Cavendish banana. The banana is the most popular fruit in the industrialized world. Banana varieties are also an important staple crop in much of the world. The Cavendish, however, is threatened by two fungal infections – Panama disease and black leaf streak disease. Hopefully knowledge gained from the banana genome will lead to new varieties of acuminata that are resistant. Part of the problem is that the Cavendish is a highly cultivated variety. Starting about 7,000 years ago the banana was cultivated by hybridization of various varieties. Interestingly, most acuminata varieties are triploid, meaning they have three copies of each chromosome, while some are diploid with two copies. Diploid and triploid varieties were hybridized together. One trait in particular that was selected for was being seedless. Most banana varieties contain numerous large seeds. The Cavendish has none, which makes it an attractive variety as a dessert fruit. However, this also means that there is no longer any sexual recombination within the Cavendish variety. Every Cavendish banana plant (representing about half of all bananas in the world) is a somaclone derived from the single variety. A somaclone refers to a plant derived ultimately from a single somatic parent cell. This means that every Cavendish banana plant is virtually identical genetically to every other. They are not strictly identical because somaclone variability is possible through spontaneous somatic mutations. But variation is minimal. According to reports, 21 people had to be treated for burns from walking over hot coals at a Tony Robbins inspirational event. 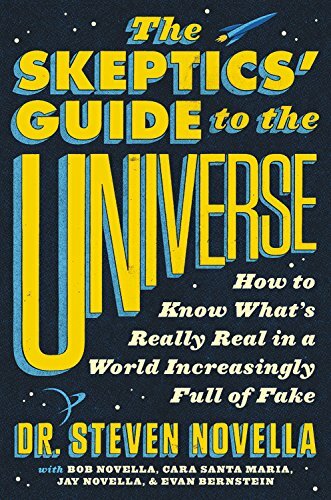 Robbins is a successful self-help guru with a schtick that depends upon the scientific illiteracy of his audience. After a session of telling people how to “unleash the power within” he demonstrates their new-found power by inviting them to walk barefoot over hot burning coals while thinking about cool moss. This is meant to demonstrate the power of mind over matter. This is, of course, nonsense. Many physicists have used the hot coal demonstration to teach a bit of elementary physics, as there is a very simple explanation for how people can walk over hot coals in their bare feet. I have, in fact, heard three (non-exclusive) explanations. The first, and the one that I think is probably the biggest factor, is that wood coals have a very low thermal capacity and conductivity. This means that they do not hold on to a lot of heat energy, and they conduct that energy very slowly. Therefore little heat is transferred to the soles of the feet – if you walk briskly across them and give little time for heat transfer. Science makes predictions. That is inherent to the scientific process. It’s what makes hypotheses testable – they make predictions about what will be observed in nature, about the outcome of experiments, and about future trends and events. Scientific theories are really models that allow us to predict the behavior of the world, and they are judged on their utility for making such predictions, rather than whether or not they are objectively “correct” (because we can’t know that). After Darwin published his theory of evolution one of the early challenges to the idea of evolution, which includes the claim that all life on earth is related through common ancestors, was that there were significant gaps between major groups of living creatures. Birds, for example, seem to be their own group without a close connection to any other group. They are, of course, related to vertebrates. But if evolution were true then there must be fossil evidence connecting birds to another group, such as reptiles. I am just getting back home from TAM2012, the largest annual skeptical meeting hosted by the James Randi Educational Foundation (JREF). Many of you were likely there as well. During the trip I also stopped off for a tour of Pixar (which was awesome) and to give a health seminar at Google. If you will indulge me, I like to use such events to take the pulse of the skeptical movement to see what I can learn. First, I am happy to report that the skeptical movement remains vibrant and energetic. These events are always invigorating – it’s a pleasure to meet with those who listen to the SGU or read my blogs and to be told directly that all the hard work is worth it. So thank you to everyone who approached me during TAM to offer their kind words, it really does have an effect. Attendance at TAM was down about 25% from last year. TAM9 had over 1600 attendees, the highest attendance of any TAM and I think any skeptical meeting. This year the attendance was over 1200, which is still huge for a skeptical conference but down from last year. Of course among those involved with TAM there is much discussion about the cause of the shrinkage. There is certainly more competition – more such conferences, including NECSS, which the NESS is involved in running. DragonCon also has a growing skeptical track, and CSI is getting back into the conference game with the second CSICON in October. Further, last year there were several big headliners (Tyson, Dawkins, Nye) who tend to be a big draw, and while this year’s speakers list was stellar last year simply had some bigger names. There are also issues that have nothing to do with skepticism, like the economy. Perhaps last year’s conference was simply exceptional, and this year we are experiencing a little regression to the mean. And there have been some controversies surrounding TAM this year, which I will discuss below. I am leaving early Monday morning for the west coast and TAM 2012. My first stop in San Francisco where I and the rest of the SGU gang will be meeting with some local skeptics. Then we have a presentation at Google on Tuesday and Wednesday we’re off to Vegas and TAM. As always, I am looking forward to the conference this year – we have some great presentations and events planned. This is just a short post to let you know I will be doing little to no blogging over the week. I may squeeze in a short post here and there, but I am always incredibly busy at these events doing interviews and preparing for the events. I will come back with lots of great interviews and will resume my usual blogging schedule next week. Hope to see some of you there. Please stop by the SGU table if you have a chance or just introduce yourself to me. Don’t be put off if I look busy – I always look that way.